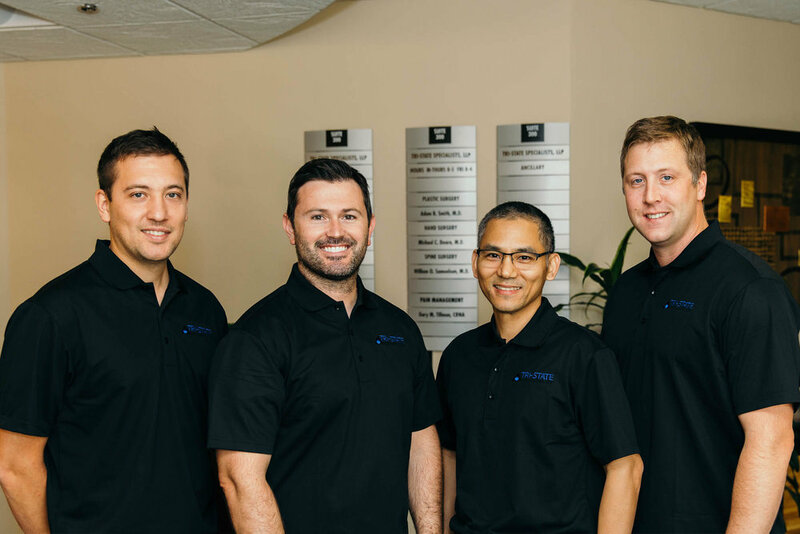 Tri-State Specialists offers expert consultation, treatment, surgery, rehabilitation, and diagnostic services to patients with musculoskeletal, joint and pain concerns. We offer orthopedic surgery, general surgery, dermatology, plastic surgery, neurology, hand surgery, spine surgery and colorectal surgery. For the convenience of our patients, we offer in-house physical therapy, MRI, and digital imaging. Our caring staff is experienced and compassionate, and we are invested not only in favorable outcomes, but also in our patients' overall health and wellness. We are proud to serve our Iowa, South Dakota, and Nebraska neighbors from our convenient location on the UnityPoint Health-St. Luke's campus. It's your life and your body. We're here to help you make the most of both. Tri-State Specialists is proud to be the official team physicians of the Sioux City Musketeers and Sioux City Bandits!